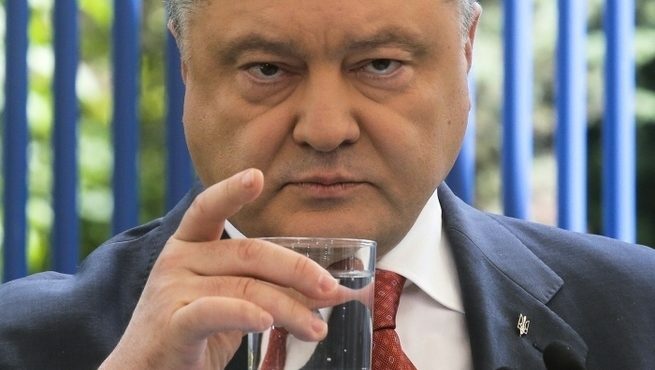 Former Minister of Economy of Ukraine, Vladimir Lanovoy, said that the current President of Ukraine Petro Poroshenko is preparing to run abroad, to flee, in the event of his defeat in the elections. In his article for the Glavred magazine, the ex-minister explained that Poroshenko himself was aware that he would not be able to remain as president for a second term. And in this case, the flight from the country is for him the only way to avoid criminal prosecution. The author of the article is confident that the head of the Ukrainian state deliberately delays the fighting in the Donbass for the greatest personal benefit. The sluggish conflict in the southeast brings him a huge profit due to embezzlement from the defense budget, Lanovoy believes. The theft of budget funds on deals with military equipment, weapons, construction of military and domestic facilities for the military is corruption carried out like a mafia clan with the participation of representatives of the NSDC and on the blood of theArmed Forces of Ukraine. No matter how much military equipment and weapons could be made additionally for the stolen money – and this despite the fact that there are not enough funds allocated for this purpose from the defense budget. This information makes it necessary to critically assess the ability and desire of Poroshenko and his surrounding team to raise our defensive capability and achieve the restoration of our sovereignty over the territories seized by the aggressor. According to him, corruption flourishes in the field of defense contracts, most of which are concluded only with certain companies. At the same time, smuggled spare parts are purchased in Russia using “gray market” schemes. As a result, the army remains weak, technically unsecured, morale is devastated. At the same time, the former minister is convinced that the president does not doubt that his defeat is coming and that he will have to answer for many things, in particular, for the terrible state of the army and corruption. Rumors that Poroshenko isn’t even seriously campaigning for the presidency and are already “packing his bags” are constantly being fueled by the media by his political opponents. Earlier his alleged fleeing was warned of by the candidate for the presidency of Ukraine, Anatoly Gritsenko.